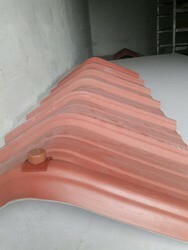 We are instrumental in offering APP Roofing Membrane to our clients. C & Z Purlins are processed / cold roll formed from high tensile steel coil to use as support for framed structures. They are designed to use as secondary support for roofing and cladding applications. They are light weight, high tensile, efficient and economical requiring minimum maintanence and will last for longer period. We have been counted amongst the most trusted names in this domain, engaged in providing Bitumen Sheet.